The Ultra HD 4K resolution revolution is a little stalled right now. We're at the moment breaking out of that classic chicken/egg time in the life of UHD. I'm not sure which is the chicken and which is the egg in this analogy, but we've now got relatively prevalent 4K-capable hardware around and a real dearth of content to stick on it. We're not only talking about the £7,000 Sony, Samsung or LG screens anymore either. There are a host of affordable, good-looking UHD 4K televisions available on the market, with more arriving all the time. You can bet that when Black Friday darkens our door come November there will be a host of UHD TV deals going down, clogging up the interwebtubes of Amazon and the like. I've been spending some quality time with a well-priced 49-inch Sony UHD TV over the last week and some of the Ultra HD imagery I've seen on that lovely-looking panel has made my jaw drop and my cat freak out. But only some of it. The most astounding UHD content I've seen on it has come from the trailers and demo reels supplied on large-capacity USB sticks by the various TV manufacturers. In the home though your only real option for watching a decent amount of Ultra HD content has come via Netflix. BT Sport has launched the first live Ultra HD channel in Europe - and quite stunning football is at 3840 x 2160 and fifty frames per second - but BT Sport Ultra HD is still in its infancy with little regular content. On Netflix though you've got every one of its bespoke shows now being available in UHD 4K streams, as well as other luminaries like Breaking Bad. There's also a smattering of movie content to devour too. Compared to the same content in Netflix's standard HD stream, the Ultra HD picture looks fantastic. When you look at the pervasively dark Daredevil the extra detail you get, even without HDR, makes the show stand out. Breaking Bad and the scenery of Marco Polo too looks great in UHD. But none of it makes me want to crawl inside the TV like I do when checking out the stunning images on those UHD movie trailers and 4K demo discs. I know those demo reels are designed specifically to show off the UHD resolution, but I want all my Ultra HD content to be able to hit those glorious highs. It is though simply the case that media contained on a physical drive, be that USB connected or on disc, can be played at a much higher bitrate, and consequently with much more image data, than you can squeeze onto a limited network stream. HEVC / H.265 is an excellent codec, cutting the bandwidth needed to stream UHD content, but it still isn't at the same level you're going to get when you're playing from a disc. 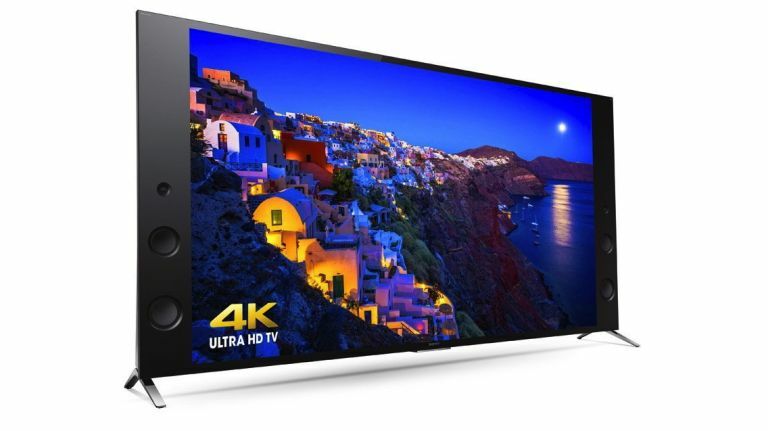 Now this may seem like a bit of an anachronistic step here, when everything's going streaming-crazy, but to get the most out of your UHD 4K TV you're absolutely going to need to get an Ultra HD Blu-ray player. "Ultra HD Blu-ray enables the delivery of an unparalleled, consistent and repeatable experience that will set the standard for Ultra HD entertainment, the same way Blu-ray Disc did for high definition viewing," said Victor Matsuda, chair, BDA Promotions Committee, when announcing the licensing of UHD Blu-rays to begin this week. Audio is another string to UHD Blu-ray's bow. There is a definite, though sometimes barely noticeable, lag when it comes to lip-synching on some of the UHD content I've watched streamed through a TV. That latency will surely drop when compared with physical media. There's also the fact you will get higher-end audio encoded into the upcoming Ultra HD Blu-rays than you can currently get via the likes of Netflix. Sure, the 5.1 Dolby Digital Plus it offers is still really good, but not compared with the lossless formats you can squeeze onto a disc. Now it might seem that I'm being overly harsh on Netflix here, but it's not a fault of the streaming giant, just an issue with the limitations of streaming the sorts of data-heavy video needed to run UHD 4K. Netflix though is striving to counter this. I spoke with Noesjka van der Helm from Netflix a few weeks back about where it's going next and getting more data into its UHD stream is definitely the way forward. "The next step will be putting more and more information in the pixels, so the experience will be better and better," van der Helm told me. "But also a higher frame rate so the experience becomes even better." "With 4K screens we have the resolution we need. Now it is about getting better pixels, not more pixels, to give viewers a much more exciting TV viewing experience,” she explained. That is though still all reliant on having a robust, super-speedy internet connection. Try getting Ultra HD streaming running on a farm in rural Wales or darkest Devon and you might find it a little tricksy. That's where the reliable, consistent nature of Ultra HD Blu-rays will really come into their own. I will admit though this is quite a change in stance for me. From a position of relying on digital download services like Steam for my games and streaming services like Netflix for my TVs and movies - with the 'physical media is dead, man' mantra never far from my lips - I'm now waiting anxiously for Ultra HD Blu-ray to arrive.